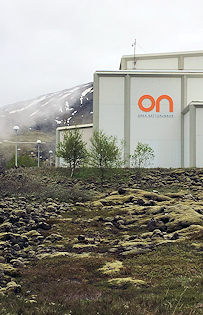 The Nesjavallavirkjun Geothermal Power Station is the second largest in Iceland, producing about 120 MW of electricity and delivering 290 gallons of hot water every second. The California Public Utilities Commission (CPUC) is currently creating integrated resource planning guidelines for the state’s load-serving entities: LSEs—public, private, and coop utilities; community choice aggregators, and electric service providers. The CPUC seeks to align the resultant IRPs from all LSEs to address state policy goals. A CPUC staff proposal that outlines IRP guidelines must first be adopted by Commissioners. Senate Bill 350, the Clean Energy and Pollution Reduction Act of 2015, started the process by setting greenhouse gas emission goals, by raising the RPS goal to 50% by 2030, and doubling energy efficiency targets for certain sectors. These goals, together with cost considerations and reliability, drive the proposed integrated resource planning effort. This process is the antithesis of most IRPs, which seek to develop a generation mix that attains certain goals, including RPS goals. A number of additional factors make the California IRP process unique. We have written a position paper—California: Working to Elevate Integrated Resource Planning—that begins to discuss the intricacies of the emerging California process. Our purpose is to highlight this increased integration of resource plans. Solari Principal Rich Maggiani is keen on engaging in the IRP discussion and creation at a deeper level after spending the past five years working on four different resource plans for the Hawaiian Electric Companies. Their most recent resource plan, called the Power Supply Improvement Plan was, filed on 23 December 2016, presented a plan for attaining 100% RPS five years ahead of the state’s 2045 target. Read Rich’s bio for more information. Solari is currently in the midst of researching and writing a report on trends in resource planning. Clearly, California is one of the leaders in this evolution. After interviewing a few dozen experts in energy planning, we see a number of topics emerging as change leaders, including reliability, business model, legislative myopia, generation versus capacity, stakeholder intervention, modeling and analysis complexity, evolving technologies, and renewable energy integration. When completed, we will publish the report on our website. If you would like to participate in our research, please contact us.